‘Where is Provender?’ said Cynthia Gleed, and sighed, knowing full well the answer. Not here. She was addressing her two daughters, Gratitude, the elder, and Extravagance, the younger. Both girls were dressed in billowing shot-silk gowns, both sported half-face masks with large noses that hid their only-somewhat-less-large real noses, and both wore wigs so ludicrously high-piled and heavy that they had to be supported by steel rods attached to purpose-built, truss-like undergarments. This arrangement restricted movement considerably, and Gratitude and Extravagance had spent much of the past week practising how to walk in their party get-up. What they had come up with was an oddly stately, swanlike gait which gave the impression of being effortless but was anything but. For the most part, so as not to exhaust themselves, they kept still. Cynthia herself had opted for an equally fabulous gown – hers beaded with freshwater pearls and fitted with saucily revealing organdie panels – but she had decided against a wig, preferring a teeteringly tall tiara set atop her own hair. She was no longer young and did not think her spine would accept the weight of an enormous wig, truss or no truss. (Her daughters, she predicted, would be suffering for their vanity for days to come.) Like them, she did have a mask, but hers was a basic black domino framed an array of glossy blue-black magpie feathers and set, lorgnette-style, on the end of a wand so that she could cover her face if she wanted to but also reveal it if she wanted to. Cynthia knew she was still beautiful at fifty-three. She knew, too, that she devoted a great deal of money and effort to remaining beautiful at fifty-three. Why hide what was so hard-won? ‘Bet he’s still in his room,’ said Gratitude. Obediently, Gratitude and Extravagance turned and, grimacing with exertion, glided off. Cynthia herself turned and surveyed the party. So far, an hour in, things had gone swimmingly. There had been no upsets – nothing, at any rate, that she had been told about or observed. If there were crises happening behind the scenes, they clearly hadn’t been so severe that the domestic and catering staff couldn’t sort them out. Cynthia was all set to step in if summoned and straighten out any kinks in the smooth delivery of hospitality to her guests. She had, however, spent hundreds of hours organising the ball and drilling various employees on their roles and tasks, precisely in order to ensure that nothing went wrong that could be foreseen to go wrong. All that hard work paid off here, at this moment, as she looked upon the replica of Venice which had been erected in her back garden. A team of set-builders from Pinewood Studios had come in and worked for a month re-creating all of La Serenissima‘s architectural features and landmarks. This second Venice of polystyrene, plywood and custom board, covering the equivalent of three football fields, was thronged now with the great and the good of Britain and a fair selection of the great and the good from other countries as well. Cynthia was standing at one corner of the Piazza San Marco. To her right was the Basilica, wherein a sprung dancefloor had been installed and an orchestra waited to play later on in the evening. To her left rose the Campanile, thirty yards tall and, as in the real Venice, crowned with a Golden Angel. The party’s version of the Grand Canal ran alongside the piazza’s far edge, winding through the rest of the ‘city’ on a circuitous loop, passing beneath a Bridge of Sighs and a Ponte de Rialto along the way. Gondolas and a couple of vaporetti were plying the waterway, ferrying guests on round-trips or between different ‘boroughs’ of the party site, perhaps to San Polo where the revellers could try their luck at the gambling tables on the Rialto itself or else to Castello where, at an ersatz Arsenale, they could shoot twelve-bores at luminous clay pigeons. There was a Lido (swimsuits, towels and changing rooms were supplied, although there would be few takers, few guests willing to unpick their elaborate costumes and hairdos just for a brief dip) and near that there was a stage where a troupe of circus performers were putting on a continuous programme of juggling, fire-eating, unicycling, and high-wire walking, some of them doing all four things simultaneously. Food, naturally, was in plentiful supply – nowhere were you out of sight of a buffet table – and waiting staff dressed as Harlequins and Columbines circulated bearing salvers of drinks. Nothing had been left to chance. Many millions of pounds had gone to ensure no guest could claim, by the night’s end, that he or she had not been thoroughly, amply, unstintingly, repletely entertained. To judge by the faces Cynthia could see, lit up by the myriad strings of lightbulbs festooned across the piazza, the ball was well on its way to achieving that aim. There were smiles everywhere she looked, and where there weren’t, there were frowns of the mildest sort – the frown of someone forced to choose between a dozen different kinds of stuffed olive, the frown of someone listening avidly to another’s words, the frown of someone unable to decide which of the many amusements on offer to partake of next. Her eye then alighted, however, on one disgruntled face which didn’t have a mitigating excuse for its expression, a face which was genuinely, miserably frowning. Great, parked halfway along the piazza’s west side in his wheelchair, glared at the partygoers who flocked to and fro in front of him. The Gleed patriarch, oldest living member of the Family, was not happy. But then, when was he ever? Feeling a tug of reluctant obligation, Cynthia went over to him. Fluffing out her skirt and petticoats, she crouched in front of him like a deflating hovercraft, so that he and she were eye-level with each other. His glittering blue gaze settled on her and took a moment to place her. When it did, his scowl eased, if only slightly. The horizontal lines thinned but remained put, looking like a musical stave on which the many liver spots that dotted his brow (and the rest of his pate) resembled so many crotchets and minims. Great tried to open his mouth, but all the action achieved was a drooping of one corner of his lower lip which exposed a couple of slanting brown teeth. At the same time, the only part of his anatomy other than his face that was not paralysed began to move. His left hand started to beat sideways against the wheelchair’s armrest, his signet ring hitting the tubular-steel frame with a sharp, resonant tap. The rhythm of Great’s taps increased, becoming irregular. Great’s head jiggled in such a way that he could either have been nodding or shaking it. Cynthia fancied she saw agreement in his eyes. Great’s eyes were the one feature of him that remained truly expressive. Usually baleful, sometimes they seemed to register approval of what they saw, as now. But that, Cynthia thought, might just be her own imagining. Eyes, when the face around them was slack and all but immobile, gave away very little. Carver not only attended to all of Great’s physical requirements, such as feeding him and changing his incontinence pants; he also had an uncanny, almost supernatural ability to interpret Great’s thoughts and wishes. Having served Great for many a decade, first as batman, then as personal valet, Carver had developed an understanding of his master that went beyond intimacy and bordered on the psychic. Since the old man’s paralysis had set in, Carver had become his mouthpiece, his messenger, his intermediary. When you spoke to Great in Carver’s presence, you actually spoke to Carver, and when Carver replied, that was Great replying. Which was why Cynthia liked to talk to Great when Carver was not around. It might not be a dialogue as such, but at least she felt she was communicating with Great himself rather than with his glowering dragoman. Great’s head jiggled again. The leathery wattle that hung below his jaw quivered. Mention of Provender’s name appeared to excite further agreement (or perhaps disagreement) from Great. His head jiggled more agitatedly. His wattle quivered so much it almost vibrated. Cynthia strode across the piazza. She had just spied her husband, whom she recognised without difficulty even though his features were almost entirely hidden beneath a larva mask. Her husband was busy chatting up an attractive young woman. Cynthia made a beeline for him. En route, she was accosted by: one of the most successful movie directors in the world; a Saudi princeling; the editor of the UK’s most Family-friendly broadsheet newspaper and his tabloid counterpart; a Texan oil baron; Greta von Wäldchenlieb, wife of the head of the premier Teutonic Family; a pop star whose name Cynthia did not know but whose face she did because he had been given Gleed patronage and was riding high in the charts on the back of that; a duchess tangentially related to the British royals; and a peer of the realm who had done the Gleeds several favours in the House of Lords. While Cynthia could have happily stopped and made small talk with any of these, and indeed should have in order both to play the gracious hostess and to reinforce her and her Family’s superiority over them, instead she bypassed them all with a wave and an airy smile. Her husband was her target and she could not afford to be diverted from reaching him. Just a few moments’ delay, and next thing she knew, he would no longer be on the piazza and neither would the attractive young woman. Cynthia grinned at Sophie Kilverton – ostensibly a grin of greeting, really a grin of victory. She had been almost certain her husband would not have remembered the girl’s name. Prosper was nothing if not predictable – predictably drawn to nubile females, predictably unmindful of such minor details as what they were called and what their occupations were. ‘Cyn, honest, it wasn’t how it looked,’ said Prosper, when they were out of the girl’s earshot. ‘They wouldn’t necessarily know it was me,’ Prosper said, touching his mask. The larva was made of fine waxed cloth, with large eyeholes. Undoubtedly it disguised Prosper but it also left enough of his physiognomy visible that you could still tell he was good-looking, in an ageing, roguish, roué way. There were those grey eyes, in their charming beds of wrinkles. There was that bifurcated chin with its small underflap of skin that spoke of a man well-preserved for his age but displaying just an enticing hint of dissipation. Prosper had made it goal in life to commit adultery with at least one representative of every known country. He had never actually admitted as much to Cynthia but she had heard about it from reliable second-hand sources and indeed read about it in the Family column of one of the more scurrilous tabloid dailies. Prosper Gleed would, it seemed, not rest until he had philandered his way across the entire globe. Rather in the manner of the great empire builders of old, he hoped to see the map of the world coloured red with his conquests. ‘Yes, absolutely,’ said Prosper, evidently having no memory of the conversation in any way, shape or form. About which Cynthia was not surprised. Half the time, things she said to her husband simply did not register. He might nod and go ‘Hmph’, as though he were listening, but she knew the information was pouring down some bottomless hole in his brain as fast as it arrived there. She broke off, interrupted by a salutation from a guest, some jowly non-Family plutocrat whose name temporarily escaped her but whose obeisant overtures could not go unacknowledged. By the time she and her husband had finished assuring the plutocrat that yes, he was ‘in’ with the Gleeds – and she had consented to the man’s request of the honour of a dance later – Cynthia had lost the head of steam she had built up. She was still angry with Prosper, still incensed that she alone was bearing the burden of finding a mate for their son, but the moment had passed. Continuing to remonstrate with her husband was not going to get her anywhere. Tonight was not the time for it; the party was not the place. Cynthia, for the third time in the space of quarter of an hour, heaved a sigh. She wheeled away from her husband and took herself to the waterside end of the piazza, where she rested her elbows on the balustrade and peered out over the Grand Canal. The sky was twilight purple and the canal was dark, though its surface glittered intermittently with reflected light. The water itself came from the mains but had been dyed to an authentically green Venetian murk. A gondolier paddled past, yodelling an operatic aria. He was one of several dozen tenors from the Gleed Academy of Music, Drama and Dance who had undergone a fortnight’s intensive coaching, courtesy of genuine Venetian gondoliers, in the art of propelling and steering that particular mode of transport. The genuine gondoliers had grumbled that no amateur should be piloting a gondola, even around a fake Venice. None of them, however, could sing opera, and that was the main criterion for the job at the ball. Besides, they had been well paid for sharing their expertise with the tenors, so the grumbling had been perfunctory, more for form’s sake than anything. It allowed them to go home with their consciences clear, the Gleed money that stuffed their wallets rinsed satisfactorily of the taint of professional compromise. Cynthia thought of this and all the other snags she had had to deal with on the way to making the ball a reality. It was the same every year – a horde of obstacles to overcome, pitfalls to anticipate, wounded egos to soothe – and no sooner was one ball over than she had to begin making plans for the next. She gave this Family her all. She did everything for them. She dedicated herself, sacrificed herself, for the greater good of the Gleeds, and asked little in return. And yet for all her efforts she was still unable to furnish them with the one thing they needed most. And this was becoming more and more anguishing to her. Cynthia glanced up at the sky. When it was fully dark… No, when Uncle Fortune came. 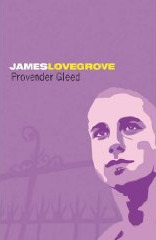 Then Provender would be joining the party, whether he liked it or not.